Style meets what on its way! Indian- Proud To Be Or Not ? J- Joy- In Ur hands Or Others’ ? K- Kind- Are We Kind Enough To Others? L- Late Or Never Too Late?? Can We Clean Ourselves Up? I’ve been blogging for over a year now, mostly focusing on things related to transport. I believe that since we all have to commute every day, whether we go to work or go out for a meal. However, there is one thing that has constantly been on my mind all these years: Cleanliness. I’m not talking about any government programme like Swachh Bharat or Nirmal Bharat. I’m not talking about getting fined for littering. I’m talking about ourselves as people living somewhere. Living in India, nothing needs to be said about how dirty our surroundings can get. But who is to blame? The government? No. We ourselves. We are to blame for our situation. Change comes from within, they say. But if we are not willing to change, then nothing will change. When I have had discussions with people, almost everyone loves blaming those who are poorer for the dirt that we see around us. They blame their poverty and say they are not educated enough to understand cleanliness. Is that true? I don’t think so. I have seen people driving an Audi or a Benz litter. Are they poor? Are they not educated? When I once caught a young woman throw out a back with discarded food packaging from a fancy fast-food joint, I asked her why she couldn’t put in in a trash bin. She told me she didn’t want to dirty her car. There. Haven’t we seen where the problem is? We may be rich enough to buy expensive, fashionable clothing, but our actions are no different from the same people we love to crib about. It is this mindset that needs changing. Cleanliness is next to Godliness. If we are to be clean, it is we who have to change. Blaming society or the government is of no use. Why, the same person who is clean and neat on a trip abroad, the minute they land on the runway, you see litter on airport tarmac. Why? Why do we do this? Why do we have this “It’s Ok” or “Chalta Hai” attitude? We have let this attitude take over our thought process, and in the process, allowed ourselves to become a part of the problem. Unless we bring about a change, there is no difference between someone who wears Gucci and someone with torn clothes. We need to change ourselves. If we believe we are above the rest, let it start with cleanliness. I’m thankful to Abhinav for letting me write this post. 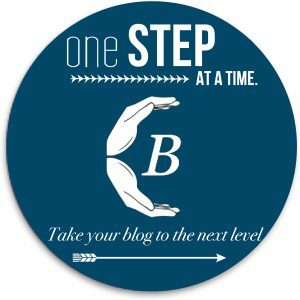 We all blog because blogging defines us. If we are able to spark of a change, why not? Absolutely true Srikanth. It is agonizing to see supposedly literate people behaving thus. There are some crude behaviors pertinent and unique to Indians, that of rule-breaking. Nowhere else in the world will you find spitting, defecating, littering in public spaces. Why-oh-why! But what you say is very relevant, we need to stop pointing fingers and be the change we want to see. By cleanliness we mean the habit of keeping physically and mentally clean. A smartly dressed person with clean habits creates an impression on others. It usually reflects a clean character also. In other words, a person’s character can be assessed by the way he dresses. If he is carelessly dressed, he will most probably be an unruly person. Similarly, if he is in the habit of dressing smartly, he tends to be clean in character also. This is the general rule although there are exceptions to it. Men with good character are usually pious and god-fearing. They stick to certain morals in their life. Thus, having a god fearing or clean heart is the first step to being godly. In other words, godliness should begin from the heart. One can have a clean heart only if he cultivates a good character. In other words, a good heart is moulded from a good character. I totally agree with you Srikanth! The world would be so much better if all of us valued the importance of cleanliness. I totally agree with your Srikanth, cleanliness is the need of the hour. However I have always had this question in mind, would cleanliness be imparted by compulsion, should we concentrate more on providing free education and free toilets instead of paying adverts huge sums to popularize the theme.